The company reported strong 33 per cent year-on-year (YoY) growth in total sales at 1,282 units in February. Shares of SML Isuzu were locked in upper circuit of 20 per cent at Rs 682 on the BSE after the company reported strong 33 per cent year-on-year (YoY) growth in total sales at 1,282 units in February. It had sold 965 units in the same month last year. 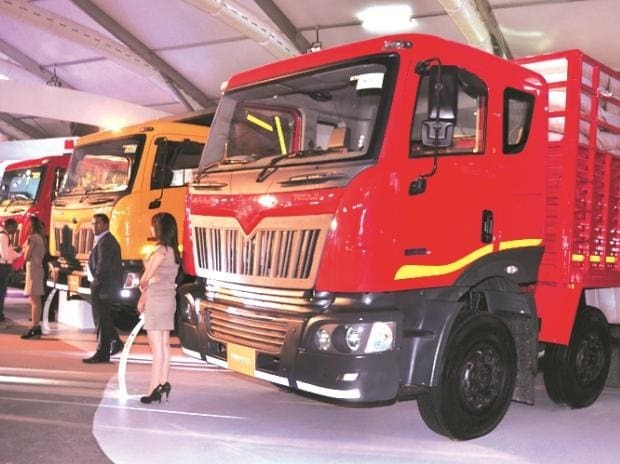 In January, the commercial vehicle maker had reported a single digit 6.3 per cent YoY growth in total sales at 997 units. Sales in the April-February period also saw a rise of 21.4 per cent at 11,655 units. It had sold 9,599 units during same period of last year. Sumitomo Corporation, Japan and Isuzu Motors, Japan respectively hold 44 per cent and 15 per cent shareholding in the company. The trading volumes on the counter jumped multiple-fold with a combined 213,340 equity shares changing hands on the NSE and BSE till 12:57 pm. There were pending buy orders for 53,732 shares on both the exchanges, data shows.